We Melina Marchetta fans, we need to start a petition, because I need a WHOLE book on Celie, and especially on her romance with Banyon. Seriously, one little short story just isn't enough! First of all, I have to admit that I didn't have very high hopes for Ferragost, simply because Marchetta's strength lies in her slow build-up and development of ideas, of extending them along the plot lines of her novels and creating something beautiful from them; something breathtaking. I wasn't sure if she could repeat that with a short story, but, as usual, Marchetta always exceeds my expectations. If all that weren't enough to recommend this, the mystery unfolds fantastically and the ultimate themes are all typically Marchetta, even with this. Furthermore, our romantic interest, Castellan Banyon is an enigmatic protector and obviously a sworn opposite of Celie as she is a spy. Yet, the sexual tension between them is electric and more than anything else, this left me wanting more of them and more of Celie. You see, despite Celie's obvious admiration for Isaboe and her yearning to be more like her, she's distinctly unique, possessing the best qualities Isaboe has, but only without the sharp edge that sometimes makes me dislike her. Celie is far more soft and also has less burdens on her mind, making her a more light-hearted character and someone I found compelling, despite the few pages through which I knew her. Ferragost is, I'm sad to say, my last Marchetta novel...until she writes another one, at least. I put it off because I couldn't bear to say good-bye to her stories, but this has given me hope that she will revisit Lumatere someday. If not, I'll have to travel to Australia and hunt her down myself because I need a Celie love story just like I so desperately need a Jimmy Hailler book. 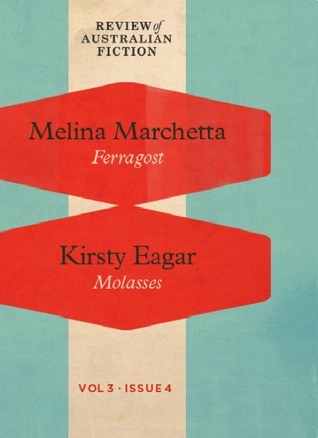 It goes without saying that Ferragost is a must-read, whether you're a fan of Melina Marchetta or not (how can anyone NOT be a fan of Melina Marchetta??) you won't regret reading this one. Yes, this is such a good example of a short story and I want to know more about Celie, too! So... I'm not a Melina Marchetta fan. Yet. Because I have yet to pick up a book by her. I know, I know, it's totally unfortunate! I've heard so many fantastic things yet I just haven't picked up a book by her. But it's great that Ms. Marchetta exceeded your expectations once again with this book! The romance sounds utterly amazing, as well. Fantastic review, Keertana, and you've gotten me even MORE convinced to hunt down a copy of Melina Marchetta's books!! I loved this one too! It was so fun to get more of Lady Celie. I agree, we need more of her and Banyon after this tantalizing beginning. Thankfully, Marchetta has written that she wants to write more of these Lumatere, Celie short stories, AND she's working on a Jimmy book. So YAY for more writing to come. Plus that Jellicoe movie. My last Marchetta novel is LOOKING FOR ALIBRANDI, and it's currently staring at me from my shelf. I'm afraid to read it, for the same reasons. But now I get to re-read everything! I keep hearing the name everywhere and the fact that you enjoyed a short story so much, indicates I need to pick up one of her books. I'm not usually one for short stories but I definitely thinking some of them may have more merits than others now. I've been waiting to read this one for the same reason you were: I'm just not ready to say goodbye yet. The Lumatere Chronicles have this huge special place in my heart and I plan to reread all three books very soon. It will be a goodbye of sorts, and that's when I'll read Celie's story as well. You're much braver than I am, but we both knew that. Oh wow, what an awesome idea for a feature! I can't believe I've never heard of it before, as it is so interesting and unique! I'm really glad you enjoyed this novella. I'm afraid I have to hang my head in shame and admit that I have never read a Marchetta book! However, after reading your lovely review, I'm very determined to get my hands on a copy of some of this authors books! See now I am kicking myself for not having read this when I had the chance, but I was worried I wouldn't enjoy it for exactly the reasons you mentioned. I guess there really is no need to doubt the Marchetta, is there? :) Great review, Keertana! Oh and I REALLY hope we will be getting that Jimmy Hailler book! He is one of my favourite characters in existence. 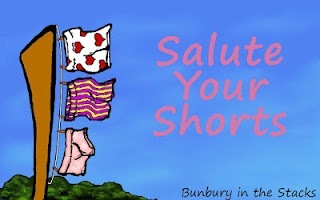 You did a Salute Your Shorts post!!! <3 So glad you decided to join in BUT I'm saving actually reading this until it's the PROPER TIME for me since I just started Finnikin. I will be back! I've seen a few reviews of this short, but for some reason I didn't realize it was a murder mystery! My interest was just piqued. I like some MM novels more than others, but I may have to check this one out sometime. Great review!